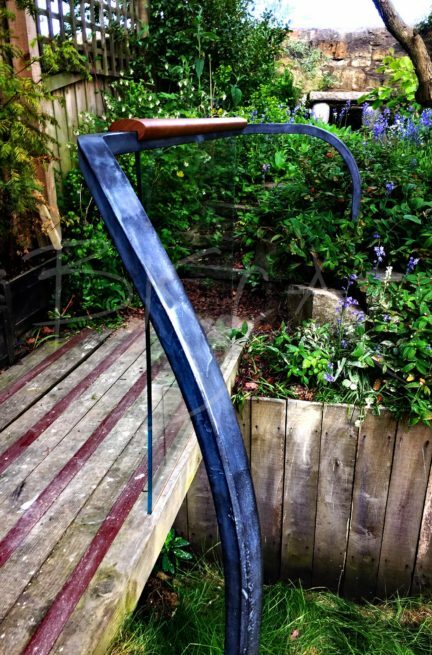 Forged and Glass External Garden Balustrades. Our clients have a lovely garden in Newcastle, with “The Devils Burn” running through it. 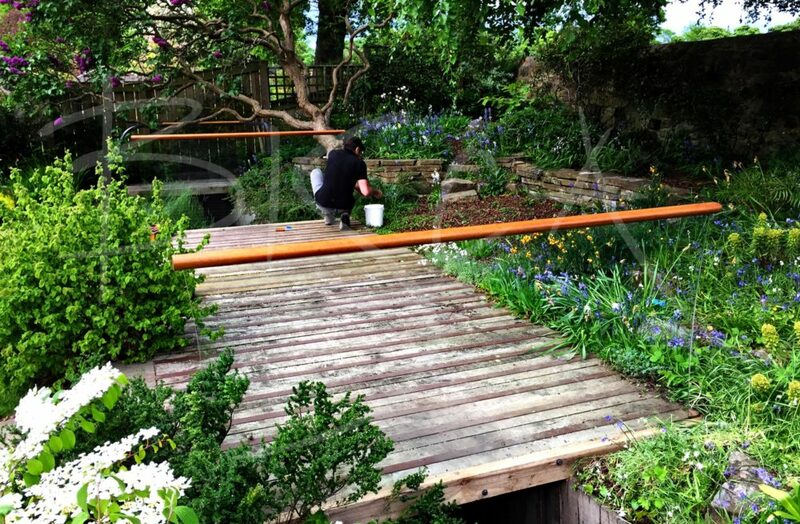 At various points in the garden, bridges made from old railway sleepers provide access over the stream. We were commissioned to design handrails and balustrades to protect these bridges. the brief was organic, natural and flowing, fitting the feel of the garden and water. 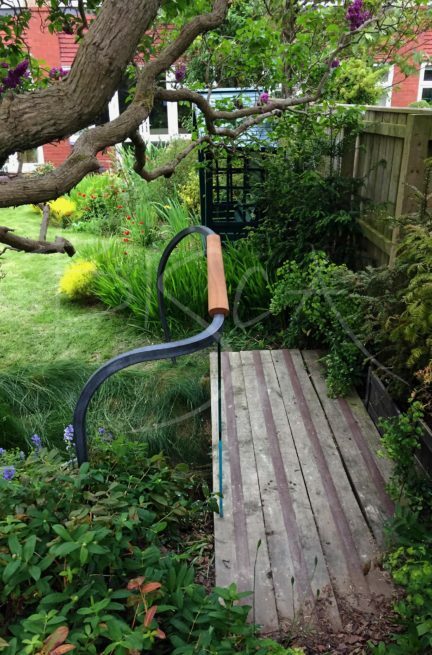 The organic nature of the garden is reflected in the handrail design. Forged steel features flare the bridge entrances, seemingly growing from the earth. We used low iron glass panels over the widths of the stream. Because their vertical curved edges blend into the natural surroundings it gives the effect of stretched canvas. Profiled Iroko handrails cap the sections of glass cross the water, thus allowing an an opportunity to pause, reflect and enjoy the garden. 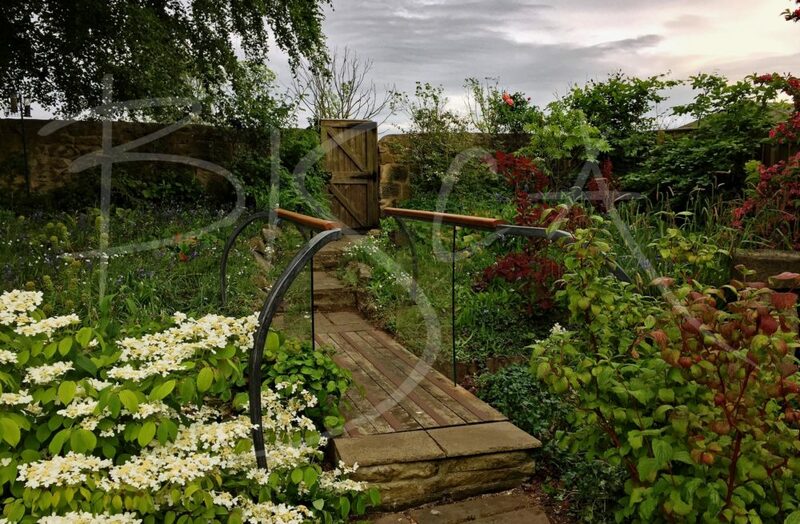 For more information on blacksmith forged steel balustrades please speak to our sales team.